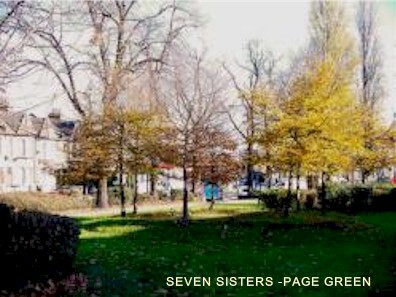 The story of the Seven Sisters tradition is a fascinating one. No-one knows for sure how far back the story goes, though 600 years is probably a good bet. Exactly who carried out the first planting is a bit of a mystery. 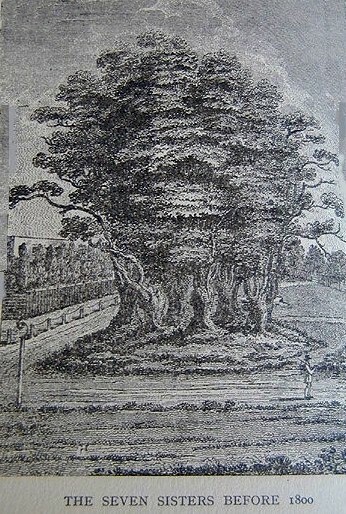 One version has it that seven sisters from a local family, who were due to go their separate ways, planted seven elms to commemorate their time together and leave a lasting souvenir in the area. Another version has it that it was the seven sisters of Robert the Bruce who carried out the first planting. Their father had an estate in Tottenham (Bruce Castle) so this would appear to be appropriate. Either way, the trees were there long enough to become an identifiable feature known as the Seven Sisters and eventually gave their name to the surrounding area. The first links with a specific group of trees probably goes back considerably further. 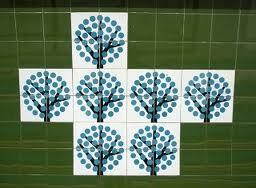 Some accounts have that in Roman times there stood a group of seven elms surrounding one walnut tree. This could have denoted its use as a pagan temple, from where the name Page Green is said to have come. What is definitely a matter of public record is the planting that took place in 1852 to replace the group that had stood there for 500 years. Seven sisters from the McRae family did the honours and the tradition was born. Unfortunately the trees didnt last long and were in turn replaced in 1886, this time by the Hibbert sisters, another local family. A report in the Tottenham Herald at the time headlined an interesting Ceremony at Tottenham, describes how 2,000 people turned out on a muddy March day to watch the ceremony. The ground was said to be as soft as butter after days of rain and snow, with people sinking in up to their ankles. A huge cheer went up as each sister in turn helped to plant one of the trees. Speeches were made, each sister was presented with a brooch in the shape of a spade, and then the official party went off to the nearby Seven Sisters hotel to celebrate. The next official planting took place 70 years later in 1955, with the added excitement being generated by the fact that the BBC filmed the whole event. Television was relatively new at this time. 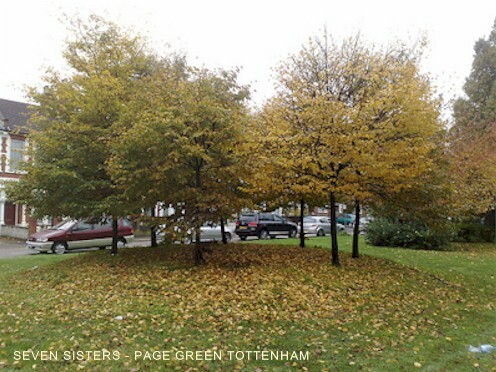 Seven sisters from the Basten family each planted an Italian poplar, although this time they werent in one group but dispersed four at one end of Page Green and three at the other. The following Extract has been taken from Reminiscences of Tottenham by Mrs. J. W. Couchman first published in 1909. 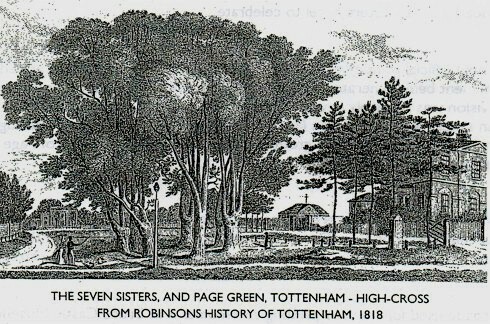 At the top of Page Green on the east side of the High Road, there stood a remarkably handsome clump of seven trees, planted in a circular form, and called the Seven Sisters. The following extracts have been taken from The History of Tottenham by Fred Fisk published in 1913. 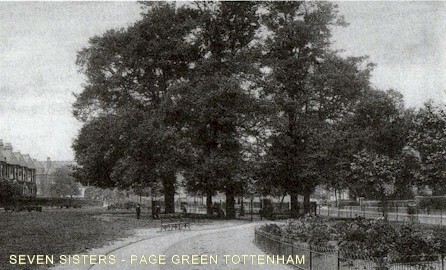 Seven Sisters Trees. 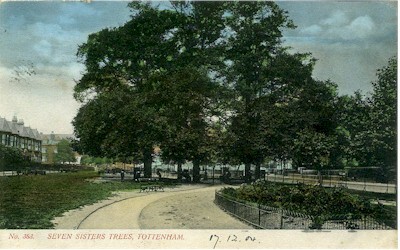 The original trees were supposed to have been planted by seven sisters, but there is no reliable record of either their origin or early times; and as there appear to be at the present time many conflicting statements and traditions connected with them, the following account has been written and compiled from a collection of items culled from many sources. 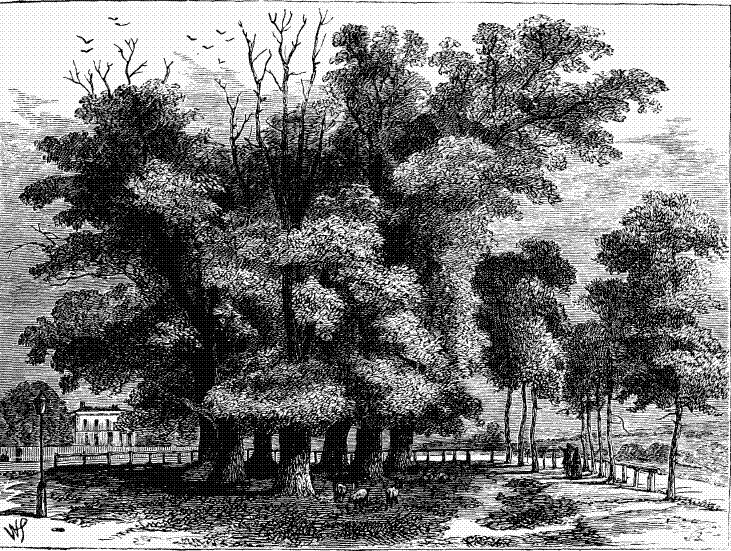 A correspondent writing to the Oracle 1876, and asking for the early history of these trees, got this reply, That these trees flourished in Bedwells time, 1631, and in his History of Tottenham gives an account of them then follow lines of poetry which are accredited to Bedwell but were written by Heraud, and taken from his Poem on Tottenham. There are further extracts in Fred Fisks books from other famous Tottenham Historians Coleraine, Dyson and Robinson which follow the same theme. 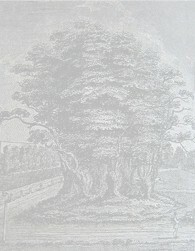 He also gives an account of the planting of replacement trees first by the daughters of J. McRae esq. 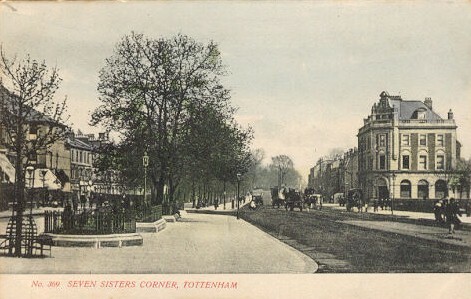 in 1852 and then the new trees planted in 1886 by the Misses Hibbert, the only family of seven sisters known to be living in Tottenham at that time. The spade used for the four planting ceremonies is at Bruce Castle Museum along with other commemorative objects. Pictured Right; A display of ceramic tiles at 'Seven Sisters' underground station which depicts the origins of the name. Updated -January 2014 to include photograph of the historic spade used to plant the 'Seven Sisters' Trees.